The Elizabeth bedsore injury attorneys of Nursing Home Law Center LLC are helping to turn the tide against negligent nursing homes by holding them accountable for the suffering their neglectful and greedy actions have caused. 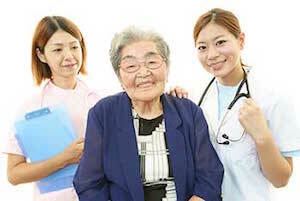 Allowing nursing patients to develop advanced stage pressure ulcers is indefensible and we are committed to ensuring that victims never need to endure the suffering they’ve experienced ever again by recovering the compensation they need to cover medical expenses and the cost of transitioning to a home that will deliver the high quality care that they should have received all along. As New Jersey’s fourth largest city, Elizabeth has a population of just over 129,000 ethnically and economically diverse residents. The senior segment comprises over 9% of Elizabeth’s population and there are thousands of residents over the age of 50 who are preparing for their imminent retirement. This elevates the need for senior services in Elizabeth both now and in the future. The Elizabeth Office on Aging coordinates with numerous local organizations to provide seniors with services and activities which will help them remain mentally sharp, physically fit and socially active. Those who require assistance may be able to maintain their independence through available transportation programs, housing application assistance and home delivered meal services. The Office on Aging also coordinates parties, dances, barbecues and group trips so that likeminded seniors can get to know one another. There are 218 nursing homes serving the Elizabeth area, so there are plenty of choices available for those who need to place their loved ones under professional care. Separating the quality homes from those with a history of neglecting or abusing patients might be challenging if you do not know how to narrow your search, however. Our Elizabeth pressure sore lawyers suggest using the nursing home compare tool provided by Medicare. This comprehensive tool provides grading on every nursing facility based on their health inspection records, staff quality and history of fines and penalties. It is easy to compare nursing homes side by side and to eliminate those that have been cited or fined for misconduct or health and safety deficiencies. To use the tool, you can visit https://www.medicare.gov/nursinghomecompare. Over half of Elizabeth’s nursing facilities have some form of recorded deficiency according to Medicare’s reports. One of the leading problems we have seen is understaffing, which results in poor quality care and problems in other areas such as implementation of patients’ individualized treatment plans. Those who are at an elevated risk of developing bedsores due to mobility concerns may be ignored in favor of other patients, allowing the sores to develop and worsen over time. We find it deplorable that any patient could be ignored to such an extent that caregivers would not notice open and festering wounds. It is an indication that more qualified personnel need to be brought in to ensure that patients are paid the attention and respect they have the right to receive. Worrying about legal fees is the last thing you need if you have discovered your loved one is the victim of abuse, which is why Nursing Home Law Center LLC promises to review all claims without any obligation or financial commitment. Unless we recover compensation on your behalf, you will never be required to pay us an attorney’s fee. Contact us today to arrange an appointment with one of our award winning Elizabeth bedsore injury attorneys so that we can review the details of your claim and let you know more about your legal options. Should you have questions about New Jersey law related to pressure sores, view our page here.